Send an Ambassador Monarch to Mexico! 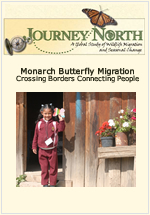 As your class prepares to send an ambassador butterfly to Mexico, use these activities to introduce the spirit of the Symbolic Migration. 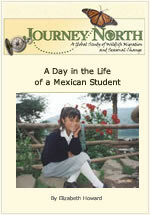 The symbolic butterflies build bridges of communication and friendship between children of Mexico, the United States and Canada. The paper butterflies symbolize international cooperation for monarch conservation. Activity 4: How Far to Mexico? 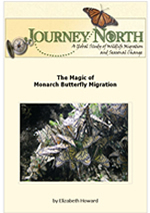 Learn More About Monarch Butterflies!